iland provides flexible, tiered cloud storage options that optimize performance and cost. Whether for simple backup, allocation and re-allocation of storage, or fast access to workloads, iland has you covered. Our security storage options provide speed and flexibility while ensuring all data is encrypted, at rest, in the environment. Our most popular tier of storage, advanced storage is a cost-effective option for the vast majority of applications. With the flexibility to allocate and re-allocate storage to each VM and vApp, you’ll be able to adjust the quantity to meet changing needs without restarting your systems. 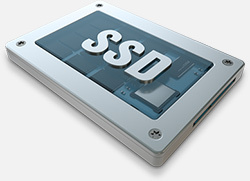 For workloads where time is of the essence and storage speeds are critical to your application’s success, upgrade to SSD. 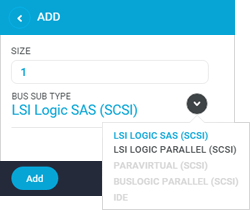 In the iland cloud, you can select storage options on a VM-by-VM basis, so you can optimize your spending and your performance requirements.